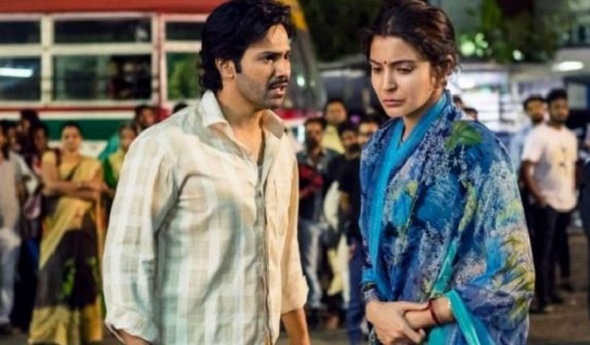 Sui Dhaaga Sunday (3rd Day) Collection Update for Morning and Noon Shows. Very Good Jump! Sui Dhaaga has shown very good growth again on Sunday (3rd Day) at box office as early samples for Morning and Noon shows are coming in. Means, we can expect big numbers for the day. Sui Dhaaga opened to around 35% occupancy in Morning shows today. For the same samples, Saturday occupancy was around 25-30%. Film showed further jump in Noon shows and as per latest recording occupancy of around 65-70%. For the same, Saturday occupancy was around 45%. Sui Dhaaga will register some kind of drop from Evening onward as tomorrow is Monday. However, going by the trend, drop should be minimal from Noon and Afternoon shows as film word of mouth is positive. From the current trend we expect, Sunday Evening and Night shows occupancy to be in the region of 60-65%. This is just an assumption as it is still early days. Actual occupancy may differ. Coming to Sui Dhaaga 3rd day business. Present trending suggest, Sui Dhaaga is aiming for 14-15 crore nett mark. Film is expected to show an overall jump of 20-25% today in comparison to Saturday. Means, film opening weekend total is marching towards a respectable 35 crore mark. Varun Dhawan is a superstar. His fanbase is bigger than Akshay nowadays.